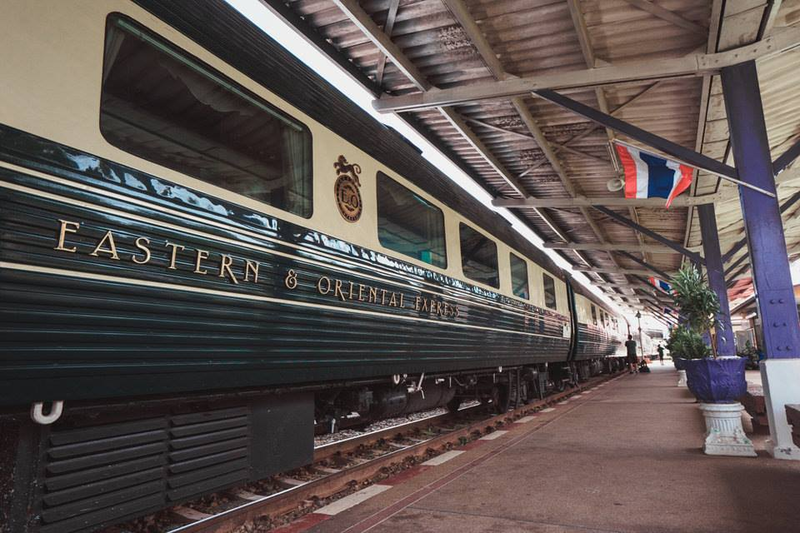 The Eastern and Oriental Express or E&O is a popular luxury train that has operations in three Southeast Asian countries namely Singapore, Malaysia and Thailand. Created in 1992, this is the same operator that runs the iconic Venice Simplon-Orient-Express with similar service that upholds its 5-star standards. There is nothing as luxurious as travelling with Eastern and Oriental Express as it offers the best facilities in train travel. To maintain its old-world traditions of travelling, electronic devices are discouraged in some regions. Onboard the Eastern Oriental Express train, passengers will find it to be fully air-conditioned with all the facilities of a luxury 5-star hotel. 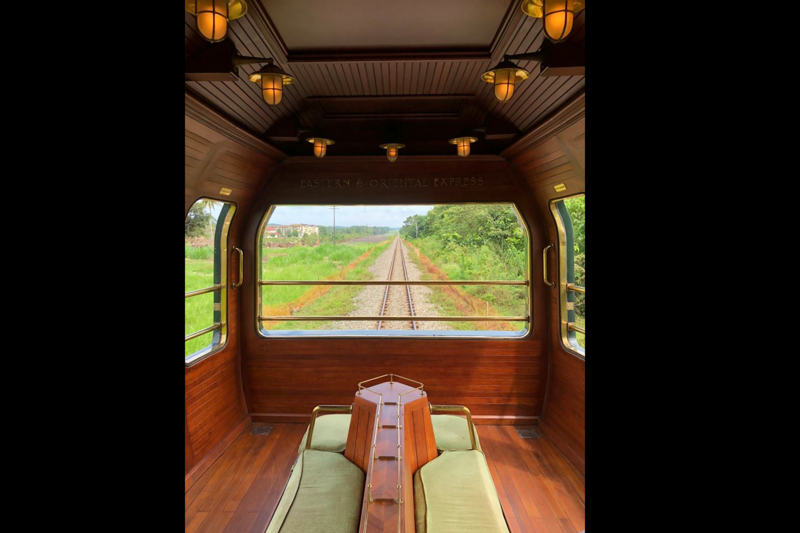 The train uses Japanese-made coaches but has had internal renovations to fit the modern luxury train market with elegant suites to every compartment. 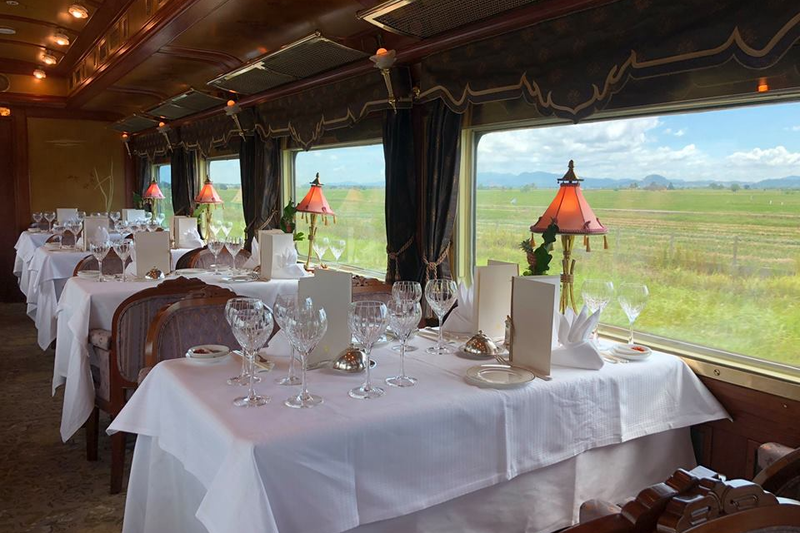 The Eastern and Oriental Express has two kitchen-dining cars with two posh restaurants, an observation-lounge vehicle at the back of the train, and in the centre a piano-bar car as well as a saloon car. Although it is not permitted to smoke in the train, smokers can do so in the open-air observation car. All passengers sleep in a private en-suite sleeper compartment located in the sleeping-cars. Known as the least expensive accommodation. Cosy compartment with sofa and fold-out table by day converted to an upper and lower berth by night. Small en suite washroom with toilet, washbasin as well as a shower. The train has a few Pullman Singles which are similar but without an upper berth. Offer double the floor space of a Pullman, with a sofa, armchair and freestanding chair by day. Converted into two lower beds that required no ladder. Small en suite washroom with toilet, washbasin and shower. The best accommodation on the Eastern and Oriental Express. There are just two Presidential Suites on the train. Sofa, chairs and table during the day will be converted to two lower beds by night. Book Eastern and Oriental Express Train Tickets Now! 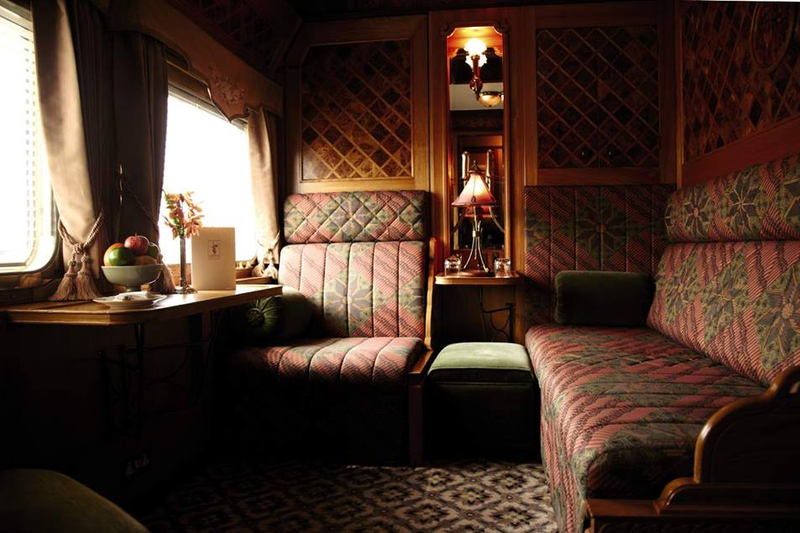 Step inside a wonderful world from another era with Eastern and Oriental Express! To experience the glamour and elegance of the illustrious Eastern Oriental Express train, travellers can easily get train tickets through a secure online booking system. Just select the boarding and arrival location of the luxury train and choose the date from the train schedule upon the search. Prices will differ depending on the selected journey. Fill in the required information before making the online booking payment.